…you can ever develop, regardless of what kind of business you have. Whether you are selling gift baskets, information products, skydiving trips or anything else, you will always increase your profits by improving your copywriting abilities. A good sales letter can often times pull in a 1% conversion rate. A great sales letter can increase this to 2-3%. This might not seem like a big deal, but it actually is double to triple the profits of the first sales letter. It often is subtle differences in copywriting that make the biggest difference. However, the best copywriters are very expensive. Some of them can charge up to $15,000 for a single sales letter, plus royalties. Unless you are already highly successful, you probably do not have this kind of money. Make sure you learn everything you can about your market so you can relate your copywriting message to them. This is important so that they feel like you are one of them. Being able to speak the language of the customer is very important. This is one of the things that separate good from great copywriters. People do not care what you are selling. They care about what it can do for them. For instance, if you are selling a vertical leap program, a feature of the program could be a plyometric exercise. The benefit of this exercise would be that it will increase the vertical leap by 10 inches. You would want to emphasize the benefit in your copywriting-not the feature. Knowing what you are going to charge determines the length of the sales letter. The more expensive the product, the more time you will need to convince people to buy. You would need a much longer sales letter for a $10,000 coaching program than you would for a $17 e-book. Make sure you think about every potential question your prospects will ask about your products, and address them in your copywriting. Some people are afraid to do this. They think this will raise questions the prospect might not have had otherwise. 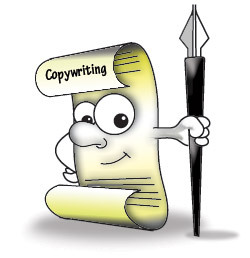 However, copywriting is very similar to real world selling. If you were an over the phone sales person, you would need to constantly be addressing concerns. The same holds true for copywriting. Ignoring those concerns does not make them go away. The headline is the most important part of the sales letter. No matter how good the sales letter is, without a good headline it will not get read. The best way to come up with a quality headline is to write out 40-50 off the top of your head. Then pick the best one from that group. Copywriting headline tip: try to use lots of numbers in the headline. This gets people’s attention, because it gives them verifiable results they can potentially get with your product. It is not a myth-testimonials really do work. The more testimonials you use, the better the results you will get from your copywriting. Always test different parts of the sales letter, because you never really know what is going to wok before trying it. In particular, test different headlines against the control, and keep improving on that. The headline will make a bigger difference than any other part of the sales letter, so this step alone can dramatically increase your profits. You are going to have competitors selling similar products to yours. If they are paying for ad space in a magazine or Google Adwords, chances are they are profitable. Therefore, look at their sales letters and see what benefits they are emphasizing, and then focus on the same things with your copywriting. While it is important to copy certain elements of competitor’s sales letters, you still have to stand out somehow. Fortunately, this really is not hard. For instance, you can sell your product for slightly less, give a better guarantee, offer more bonuses, etc. It really is not difficult to stand out from the others with copywriting. Copywriting is probably the most important skill you can have for your business. Use these 9 tips, and you will improve your results shortly.